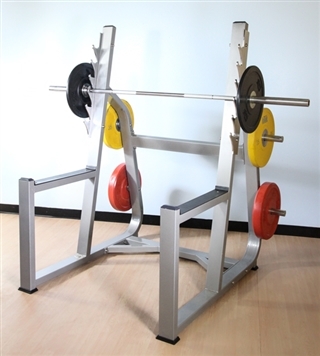 MuscleD MD Series Squat Rack, can be used as a squat rack or for use with adjustable benches. Designed with laser cut multiple bar positions for different height positions. 2 Olympic Plate holders on each side.